Many business owners currently struggle to handle the endless stream of content that is necessary in order to appease the customers of today. Several studies have shown that the consumers trust generated content over any other form of media. In light of this preference, this is the perfect chance for you to start using user generated content strategies to manage your content. By doing this, you will make sure that your readers trust your company. User generated content is the best strategy for promoting your business. There are many things you can do to implement this type of content to your business. 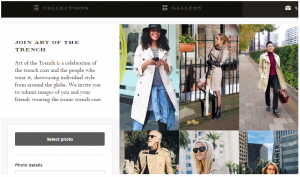 We are introducing the best strategies to boost sales with the help of user-generated content. The first thing every business owner must do is make sure that they keep the old customers while attracting new ones. When a customer has already picked out your product and started using it, your main job is to make sure that they are satisfied with the services. Examples of such UGC strategies are forum postings, bug reports, support tickets and post-sales questions. These strategies assist the business owners in creating content of support, such as knowledge base articles for people to read and FAQ section for them to check. Aside from the passive content in the form of FAQ, you could also use more active strategies, such as Google's Office Hours. This platform allows people to speak to the business owners and ask questions regarding their services. 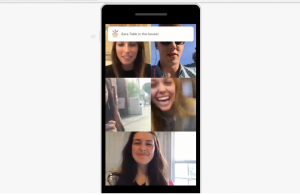 If you wish to provide customers with live chat where they can ask questions, you can use tools like Meerkat or Google Plus Hangouts. User reviews and testimonials are perhaps the most prevalent UGC form, especially when it comes to selling. In general, people are more likely to purchase a product if there are user reviews on the website that sells it. There are a couple of things you can do to encourage your customers to write reviews. You could use Trustpilot and Reevo and ask the customers to do this. These providers will allow you to place widgets that will link to the review page and act as signals of trust on the website. One of the most successful strategies for user reviews usage is the one of integrating the product reviews next to the particular product being sold. 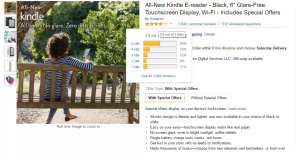 Take for example AliExpress or Amazon, where you can see the reviews on the product page. Aside from the review platforms mentioned above, you can also use automated email workflows that your customers will receive after purchasing your product. Another great way to motivate the customers and make them create content for your product are competitions. The today's trend is to allow customers to submit something and compete for a prize. 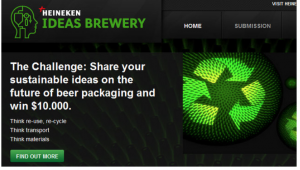 An example of such contest is Heineken's 'Reinvent the Draught Beer Experience' challenge. This challenge was introduced in 2012 and allowed customers to share images, ideas and videos that will help change the beer experience. The manufacturer of this brand actually asked for input on how to redefine the beer. The result was more than positive. Customers made over hundreds of submissions that helped Heineken and increased traffic on the site. Social content is starting to increase the purchases of products, so it is highly necessary that you boost the social media marketing with user-generated content. In order to do this, you need to ask your customer to share the photos or videos, while doing some tagging of your brand. Such strategy is that of Coca Cola's Share a Coke campaign, which increased the U.S sales for 2%. 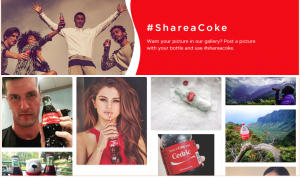 What the manufacturer did here was making a novelty Coke bottle with names on it and asking customers to share a photo of them with the bottle, by using the hash tag #ShareaCoke. Another similar idea is the Burberry's Art of the Trench, where people were asked to post and comment on photos of people wearing the products of this British company. The ecommerce sales increased to over 50% over the year, after the launch of their website in 2009. Chobani, a Greek company for yogurt increased sales using similar principle. 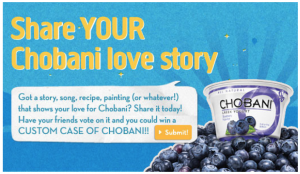 This manufacturer decided to ask the customers to submit images and videos praising the Chobani yogurt. This attributed to 225.9% increase in revenue in the years 2009 and 2010. Once you have gotten the customers' attention on your product, you need to do something to engage them in purchasing it. Your best ways of doing this is trough surveys, because these will help you collect all necessary data you need. You can try out survey tools like Google Forms, Typeform or SurveyMonkey. In some cases, you will not even need such surveys to create user generated content. 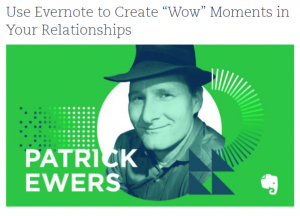 Take for example Evernote, which uses simple guest blog posts from users to achieve this. The blog of this company has many stories full of user-generated content. Interestingly, these stories are actually ones of people that use Evernote, written for the other users. User generated content is perhaps the best thing you can do for your business. This is why many people nowadays understand the importance of UGC and work on implementing it on their businesses. Following the above-mentioned steps in increasing your business' traffic and revenue are the best way of achieving your goal. A good way to pick a UGC optimization area is to look at your sales funnel and check for some gaps and cracks. After that, your job is to make clients remain your customers and generate content that will attract new customers.